Blog — Kansas City Fashion Council, Inc.
Kansas City Fashion Council, Inc. is thrilled to announce the addition of Noelle Manica to our staff as Director of Model Development. Noelle will bring her vast modeling experience to the council and lead in coordinating educational and training opportunities for area talent. KCFC is excited to expand its services to the growing Kansas City fashion community. "KCFC couldn't ask for a more gifted and qualified person to administer an active model development program. Noelle brings a wealth of real-world modeling experience to her new role, as well as significant leadership abilities," according to Annette Pinter, KCFC Executive Director. Noelle has been a professional model for more than 18 years. She is currently represented by agencies in Kansas City, St Louis, Chicago and Las Vegas. She has walked in Miami Swim Week, New York Fashion Week, Omaha Fashion Week, and in five seasons of Kansas City Fashion Week. In addition to modeling, she’s worked in marketing and advertising for the NFL Houston Texans, Union Station, and for American Century Investments. Noelle is the founder of The Model Board, which offers model coaching and development. She became a Kansas Citian in 2003. For fun, Noelle and her husband own the premier Kansas City cocktail lounge, The Monarch Bar. 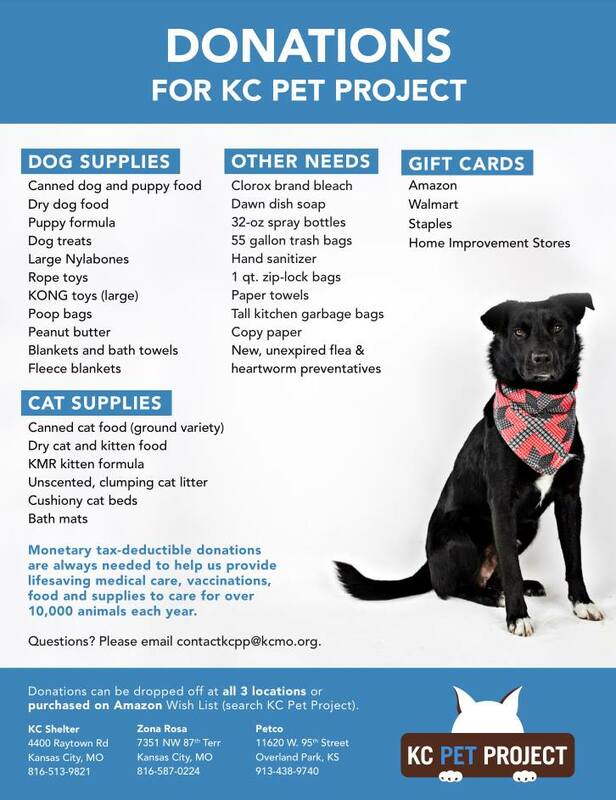 Join Us at Community Service Day with KC Pet Project! As the runway lights go on for Kansas City Fashion Week, LLC, we are announcing our fundraising initiative to support #LoadsofLoveKC. In partnership with United Way of Greater Kansas City, every dollar donated to Kansas City Fashion Council, Inc. will go to schools in KCMO enabling more local schools to help solve attendance issues that relate to a lack of clean clothing. Through Loads of Love, area students can discreetly bring clothes that need washing to their school. Benefits of having a washer/dryer in the school have been proven to increase attendance and improve student behavior. To date, the United Way of Greater Kansas City has raised $27,600 for 9 schools across Kansas City. For every 3k raised another school gets a washer/dryer! Our goal is to raise enough money to supply a washer/dryer, mesh bags for students to bring clothes to be washed and laundry soap for 2 local schools. Use the button below to donate directly to our drive on Facebook, or via the donate page. Happy New Year! Our Year In Review. As I reflect on this year, I am amazed to think through all the lives touched by our fashion community. Whether you donated items, your time, money or all of these it made a difference to someone in our city. The Kansas City Fashion Council kickoff party where we hoped to collect a few yards of fabric. The total was over 100 yards of fabric that was donated to an elementary school. Those students now have so many choices in creating their next art project! All of us remember Ellie, the local girl battling cancer that was being bullied online. She was invited to a MODA Shoot and became our cover model. We watched her walk a runway like a pro and I can't help but think everyone involved will take some wonderful memories with them from the experience. The Spring weather brought an outpouring of clothing donations for the tornado victims in our city and a check was given to the local Community Services League on behalf of our fashion community. The Council partnered with Oak Park Mall to help judge some truly talented designers during the Make It Yours Design Challenge over the summer. The silent auction that took place during Kansas City Fashion Week raised $4,000 that is being used to create scholarships for apparel design students at Johnson County Community College. The holidays brought with it the Angels Fund that paid the layaway balances of 12 local families. None of these happened without the support of hundreds of people in our community who believed in each project and gave to help others. My hope for the New Year is that all of us take a moment to see how a little bit of kindness can make a larger difference. 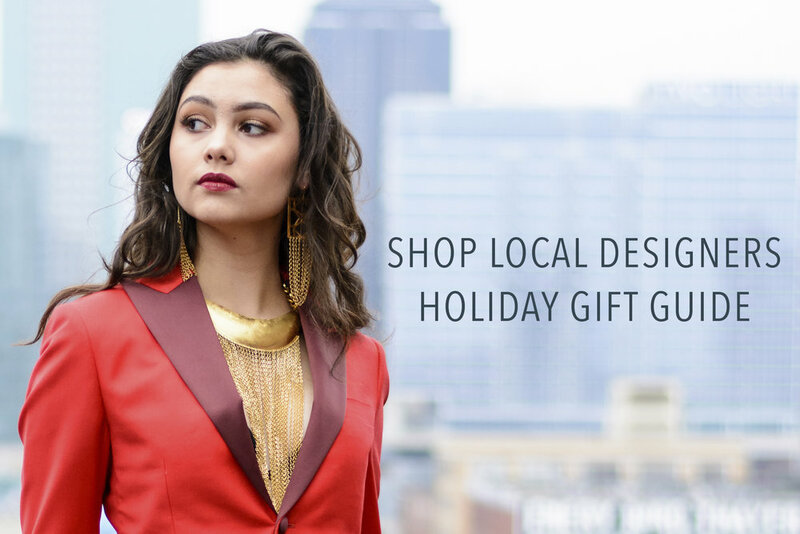 With Holiday shopping in full swing what better gift to give than one from a local designer or maker. 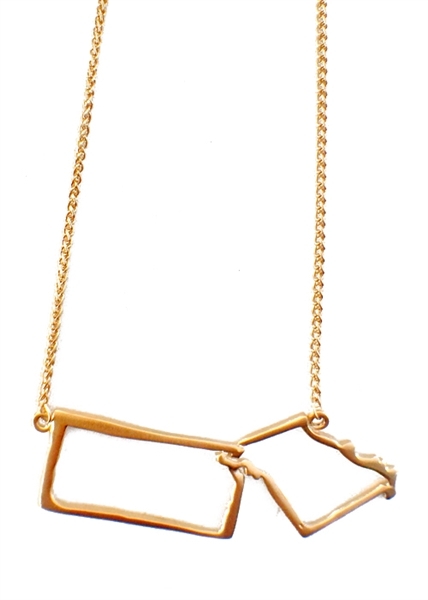 We've curated our top picks for local jewelry, clothes, sweet treats, and home goods. Kansas City is full of so many great designers and makers it was hard for us to pick a favorite! Our last curated selections come from a special selection of brands. The following selections can be found at Boutique in a Box located near the center court on the lower level of Oak Park Mall. The first is to create a fundraiser on Facebook for Kansas City Fashion Council, Inc. If this fundraiser is created and launched by 7am CST, it will qualify for the Bill & Melinda Gates Foundation's promise to match up to $2 million raised on Facebook, which breaks down to $50,000 per non-profit, and $1,000 per fundraiser! This is an amazing opportunity to raise funds for the Angels program. To set up you fundraiser visit https://www.facebook.com/fundraisers/ and select Kansas City Fashion Council, Inc. as the non-profit you want to benefit. This fundraiser will be shared with your Facebook friends to encourage them to support the cause as well! 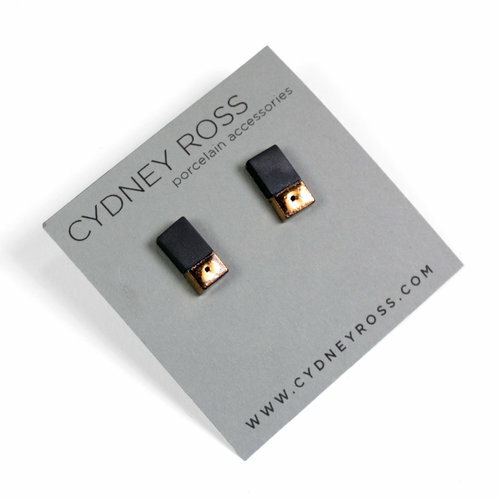 Its time for Black Friday, Small Business Saturday, and Cyber Monday sales! Lucky for you, we've compiled a list of sales both online and in-store from local designers and brands. Check back throughout the weekend for updates! Janesko - Use code BLACK20 for 20% off at janesko.com tomorrow only. Lucia’s Sarto - Open 12-5 Friday and Saturday. Sales on pieces in store. Lake Street Apparel KC - Black Friday event at the Riot Room 7-9. Take 30% off of your second item, and if you buy 3 items get a free bomber jacket ($60 value). So you developed your own collection and are ready to show it on the runway. Now what? If you want to get your designs onto the racks of boutiques and major retailers the next step is creating a line sheet. What is a line sheet? A line sheet is an important tool for designers who are looking to sell their collections. Unlike a look book which showcases the visual elements of your collection in an artistic way, the line sheet provides quick and to the point information about your collection to buyers. What is in a line sheet? Style numbers - The style number can be anything you want. Typically it relates to the season of the collection such as SS for spring/summer, or AW for autumn/winter. Sizing - XS-XL, 00-16, etc. Variations - Does this garment come in different colors or patterns? Price - If you have pricing worked out for your garment you should include the wholesale price. We also recommend including the MSRP or suggested retail price for the garment. Now that you understand the basics you are ready to create your own line sheets! Bonus: We’ve included a line sheet template for you to get started! There's a new denim company in town! W.H. Ranch Dungarees recently relocated to the Kansas City area from Colorado. Ryan Martin, founder of W.H. Ranch Dungarees completely hand-makes denim jeans from start to finish in his one-man workshop. Martin was recently named the Best Denim Maker in the world by The Artisan Challenge, which was no easy feat. The challenge was 2 years long! After hearing of his accomplishments, we took the time to get to know Ryan and his brand, and to welcome him to the Kansas City area. I am a sixth-generation professional sewer and pattern-maker born in Salina, KS. We moved to KC when I was young. I have been behind a sewing machine since I was seven years old, the soonest I could reach the power foot. Since I was a teenager, I had a passion for design and men’s fashion. I was probably the only kid on the block with subscriptions to GQ and Esquire. I went to my dad’s alma mater, Kansas State and majored in Apparel and Textile Design. I studied European pattern-making and draping in London. I still make my patterns that way, completely by hand. While my roommates were playing beer pong I was hard at work making patterns and perfecting my sewing techniques, as I would do most nights. I was once talking with my grandmother who grew up sewing her own clothing in Victoria, KS during the Great Depression. She was talking about how much of a perfectionist her mother was, who had taught her the trade. She quipped, “we spent more time ripping than stitching”. It all became clear where my obsession with perfection came from. It was literally in my blood! I have been known to rip out an entire inseam because one stitch was a little wonky. My personal design philosophy is “stick with the classics”. I am heavily influenced by Ralph Lauren and the way in which he built his brand. Ralph understood it wasn’t about the Polo shirt, it was about selling the romanticism of the lifestyle. You will rarely see photos of my jeans that aren’t heavily worn or out in the real world. Even my stock photos show the jeans worn. That is the core of my Creative Direction. My jeans are really a souvenir of the romanticism of the Western lifestyle. Denim is my passion. I remember in the late 90s, dark indigo started to make a comeback. Most people were still wearing GAP chinos because of their famous commercial where everyone was swing dancing. I remember seeing Bare Naked Ladies on SNL and their lead singer was wearing crisp, dark indigo jeans with a rolled cuff. That seems common place now, but it was a retro look back then. In fact, finding raw jeans was incredibly difficult at that time. I got introduced to Japanese selvage denim in the early 2000s, which was almost impossible to find. I came across a pair of raw selvage RRL jeans and was hooked! They had hidden rivets, full selvage side seams and could stand up on their own. I had never seen anything like it. You could just tell they were special. I tried in 2002 to start making custom jeans as I do now, but it proved an impossible task. You couldn’t get the raw materials without insanely high minimums from suppliers. Even if you could, there was really no way to market them. In 2011, social media was going strong and I saw a way that I could reach my prospective clientele. I sold all my best cowboy boots, found some jobbers that would sell me premium selvage denim, sweet talked my way into an account with YKK for the hardware and got to work. I offered up ten pairs on Instagram to my 20 some odd followers at that point and sold out in about a week. Honestly, I would have been happy if one person bought a pair. Maybe I had something here. The jeans I make are a throwback to the golden-era of denim. The majority of my fits, minus the CC Ryder, which was designed by Willie Watson of Old Crowe Medicine Show fame and a talented sewer in his own right, are stitch for stitch replicas of Midwestern dungarees from the 30s-60s: the jeans found at the local feed store that were built to withstand the laborious work of the wheat field, or the rail yard. They become a second skin. These are the jeans my great grandfather wore in Western Kansas just trying to survive the Dust Bowl, not knowing where their next meal was coming from. I am a student of vintage denim, specializing in the history of Lee jeans, and incorporate those long lost construction techniques into my denim wares. Many of the machines that put together the inseam, for instance, do not exist or are no longer used in mass production; even if they were still in operation, it is too costly to replicate and the knowhow is likely gone. These are the sort of throwback details you will find in a pair of W.H. Ranch Dungarees that are only obtained through a considerable working knowledge of vintage construction techniques and a great deal of skill. The denim too is special. I work with Cone Mills in North Carolina and a few Japanese Mills to find denim that is period correct in weight, weave and selvage ID. What makes W.H. Ranch Dungarees special from other brands? The Heritage Collection, which was the start of W.H. Ranch, is designed and made by me from start to finish, one pair at a time. It is the antithesis of mass production. I jokingly tell people I am the CEO all the way down to the Janitor. Because of the nature of the setup, I can only make 200 pairs a year, so they are limited in nature, which only adds to their value. Some have said that the jeans are more art than clothing. That may be, but rest assured they can take a beating like you wouldn’t believe. Recently, I was recognized by The Denim World Championship as the Best Jean Maker in the World. This was a two-year long contest that pitted the most renowned makers in the world against one another to crown the best. This solidifies my belief that quality trumps quantity. I will go out on a limb and say no other pair of jeans exist that will hold up better. Why did you choose to come back to Kansas City? KC is becoming a hub for denim with companies like Lee and Baldwin. Where do you fit into the mix? I would say I actually don’t fit into the mix other than we both sell denim. What I mean is that both Lee and Baldwin operate on a traditional business model of mass production, in that they both want to sell as many jeans as possible within the confines of their respective markets. There are tolerances and shortcomings they are willing to accept within their product ranges to meet profitability thresholds. Simply, they are businesses selling a product to as many people as possible and, frankly, they have done a solid job. I have a lot of respect for the marketing machines that are behind the products. I, on the other hand have a terrible business model by comparison. But, I never started to prove I had a great business model. I started to prove I could make the best pair of jeans in the world, a title I recently claimed. My handmade jeans technically operate in the Luxury Goods Category, which is rare for blue jeans. I sell to a unique, informed, and specialized clientele that place quality of goods above all else, even price or production time. A pair of jeans will cost $375 and carry an 18-month wait. In an effort to accommodate those in a hurry, I recently began to offer a rush fee of $600. That will get your jeans to you in 4 weeks, which means a double shift for me. Even though I have made jeans for more Grammy winners than I can count, and my childhood hero Indiana Jones, the appeal for quality, hard-wearing jeans has broken through to the wheat fields and stock yards as well. I used to sell more than 50% of my jeans overseas in Europe when I first started. Now, more than half of my jeans are sent to postage stamp Texas towns. Folks are starting to realize you can spend the money on a pair of these jeans because they will last. In fact, I was recently commissioned by the boys from Midland (Drinkin’ Problem) to make some high rise honky tonk jeans because they couldn’t find any non-vintage denim with a slim cowboy leg and a high rise. They heard I was the only one around making that style. This brings up another point. Aside from a carefully curated Instagram feed, I don’t do any advertising. The brand has grown purely through word of mouth, which is a testament to the quality of the garments. What are your thoughts on the Kansas City fashion industry? I always felt Kansas City was on the verge of becoming a fashion hub in the Midwest. We had historical brands based here whose name still carried weight. For years the city never seemed to be able to capitalize on that. Things have really changed recently and I will give Baldwin some credit for that. Their PR campaign has done wonders for focusing on Kansas City and rallying the base so to speak. KC folks love KC. When you meet someone from KC they tell you all about it. When you see KC’s famous faces Jason Sediukus, Paul Rudd, Eric Stonestreet, David Koechner, and others repping KC on late night TV, movies, and in the press it makes the rest of the world sit up and take notice. Most people from the coasts couldn’t find Kansas on a map. That has changed. I hope Kansas City continues to invest and support local designers. The opportunity is there for all of us and with social media and the like, the word is getting out: There are talented designers in Kansas City. If you don’t know who you are or what you are trying to say, you have already lost. Be prepared to die for your brand, because there will be times in your journey when you are staring over the cliff and have to decide if you are going to jump or turn back. It is also not enough to be a talented designer. If you aren’t business savvy, find someone who is. Being a successful designer takes both sides of the brain. Usually the passion falls on the “making” side. Be the designer, creative, maker, and builder but don’t neglect the invoicing, numbers, inventory, marketing, and suppliers. Kansas City Fashion Council's Industry Spotlight series highlights individuals and companies in all aspects of the fashion industry from designers, hair stylists, make-up artists, photographers, models, etc. Do you have an achievement you want to share, or want to be featured on our website? Fill out the form on the SHARE WITH US page and we will reach out to you for more information.